Groundbreaking on 40,000-sq.-ft. expansion, April 2013. Blackhawk Engineering was founded in 1974 to design and build tooling, dies, and special machines. Over the next 40 years, our company has expanded and diversified to provide customers with the best precision CNC machining services available. 1985 – Additional CNC lathes and mills purchased to focus on machining service/short-run production parts. 1988 – Purchased a large horizontal machining center for an agricultural differential housing. 1989 – Became the first recognized Certified Supplier to John Deere Waterloo Tractor Works for drivetrain casting machining. 1990 – Blackhawk Engineering Production Group and Blackhawk Engineering Systems Group split into two separate entities and facilities, allowing for our focus on production machining. 1995 – Completion of second building expansion, allowing us the needed space to focus on our expanding expertise in the horizontal mill usage for six-sided drivetrain-type machining. Also in 1995 we became the world’s No. 1 user of Hitachi Seiki Horizontal Pallet Changers. 1996 – Introduced the Ford Quality Operating System (QOS) used to drive and improve BHE business practices. 1999 – Achieved ISO 9000 registration. 2009 – Certified to ISO 9001:2008. 2011 – 30,000 sq. 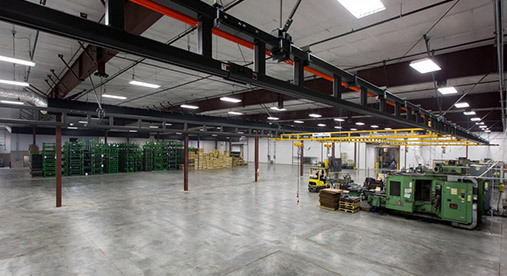 ft. plant addition completed, build in response to high demand for our services. 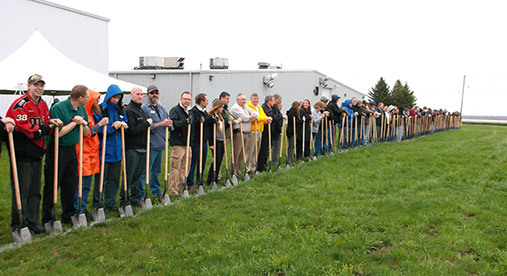 2013 – Broke ground on a 40,000-square-foot facility, expanding our facility to 118,000 square feet. 2014 – 40,000 sq. ft. plant addition completed, providing space for new opportunities and for further diversification. BHE’s focus on customer service, competitive pricing, and on-time deliveries has kept us at the forefront of the CNC machining industry.